Horizon Chase Turbo is a racing game inspired in the great hits of the 80s and 90s. Travel around the world to compete in 72 gorgeous tracks. 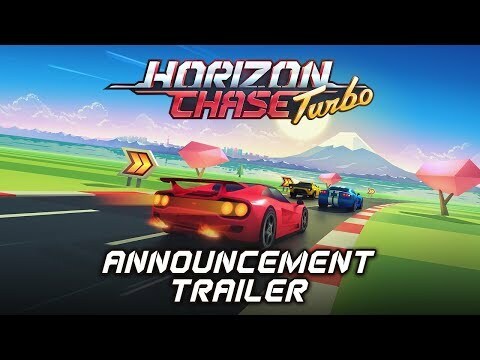 Horizon Chase Turbo was released on PS4 343d ago in the US and the UK. Based on 1 Horizon Chase Turbo PS4 reviews, Horizon Chase Turbo gets an average PS4 review score of 75. The score for all versions is 77 based on a total of 2 reviews. A thoroughly enjoyable arcade racer with an eye on the past.